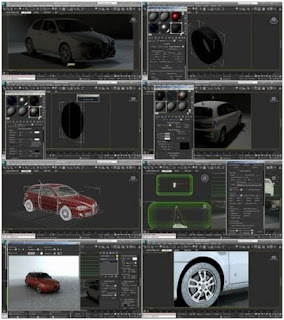 In this new video tutorial for 3D Studio Max 2011, we'll take a look at car rendering techniques. 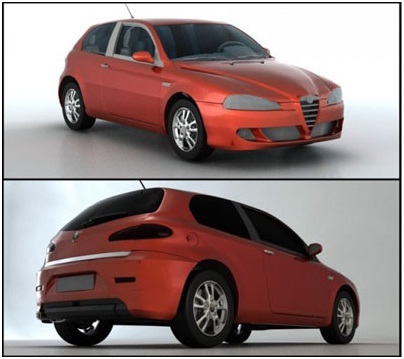 In part one, we'll pick a car model, and we'll create a basic studio lighting setup and a basic environment, to start shading it. We'll prepare a basic car paint shader, and then we'll move to rims shader using Arch & Design template and changing its parameters and properties, then we'll move to brake discs and a basic tire shader. Studio lighting setup will be prepared using three MR Area spot with different colors and intensity value. In this new tutorial on Max Cookie, we'll continue to talk about car rendering, using again the studio lighting setup prepared in Part 1. This time we'll work more on the lighting, using better decay setup, then we'll move to work on more shaders to be near to the end of this tutorial series. We'll take a look at various Arch & Design shaders prepared using Mental Ray for final rendering, we'll work on plastic, metals and tire shaders.